Scientists have modelled the processes that led to the formation of glaciers at the cratered poles of Mercury, the planet closest to the Sun. 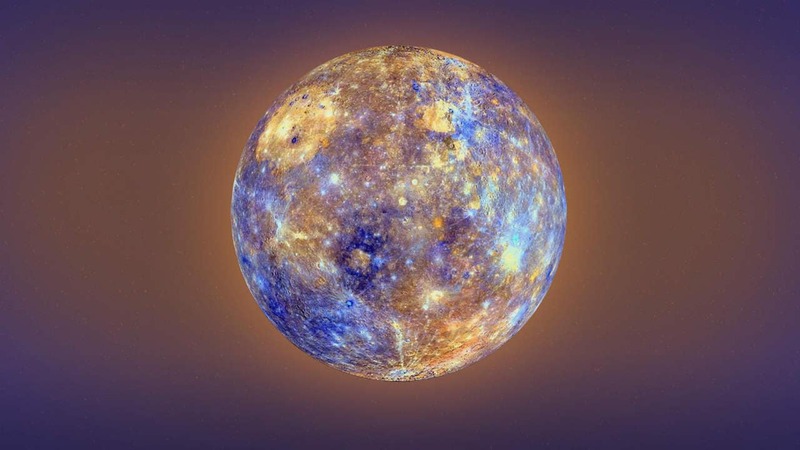 The findings, published in the journal Icarus, add to our understanding of how Mercury’s ice accumulations — estimated to be less than 50 million years old and up to 50 metres thick in places — may have changed over time. Changes in ice sheets serve as climatic indicators, researchers said. Analysis of Mercury’s cold-based glaciers, located in the permanently shadowed craters near the poles and visible by Earth-based radar, was funded by NASA, and is part of a study of volatile deposits on the moon. Like the moon, Mercury does not have an atmosphere that produces snow or ice that could account for glaciers at the poles. Simulations by the team suggest that the planet’s ice was deposited — likely the result of a water-rich comet or other impact event — and has remained stable, with little or no flow velocity. That is despite the extreme temperature difference between the permanently shadowed locations of the glaciers on Mercury and the adjacent regions illuminated by the Sun. The researchers reconstructed the shape and outline of past and present ice sheets on Earth and Mars, with findings published in 2002 and 2008, respectively. “We expect the deposits (on Mercury) are supply limited, and that they are basically stagnant unmoving deposits, reflecting the extreme efficiency of the cold-trapping mechanism” of the polar terrain, the researchers said.